Dental Cleaning | Comfort Care Family Dental P.C. One of the best things you can do to make sure you are taking care of your teeth is to get a dental cleaning done by a professional dentist at least twice a year. For residents in the Naperville, IL area, world class dental care can be found right here at our state of the art facility. The professional staff of Comfort Care Family Dental is completely focused on helping each and every one of our patients maintain good tooth and gum health and improve their overall oral health through general dental cleanings and checkups. One of the most effective things a patient can do to maintain their teeth is to make smart choices about what they eat and drink and to stay on top of a good brushing and flossing routine each and every day. 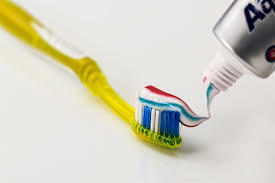 Dental hygiene is all about setting up a good routine and making it into a habit. Starting young is always best but late is better than never and even if you have some dental issues now, starting up with a good dental care routine can help save the teeth you still have and prevent your problems from getting much, much worse. A dental hygienist, a dental surgeon, or a prosthodontist can help you determent the best care routine for your teeth and can access areas that are impossible to reach with a toothbrush and floss to ensure all of your teeth are protected. We can assist with a general dental cleaning and routine exams as well as helping correct problems and issues that may arise involving your teeth and gums. It is easy to see why Comfort Care Family Dental in Naperville, Illinois is the place locals come when they are trying to decide where to get quality dental cleaning done locally. We offer services that are fast and convenient and affordable! Call to set up your appointment and take advantage of the many ways we have of preserving your teeth and maintaining good overall health and wellness for you and your family. As leaders in the dental reconstruction procedures and general dental cleaning needs, we treat everything from simple extractions and fillings to the most advanced dental procedures including crowns, bridges, and implants. Our team of dental surgeons and prosthodontists are leaders in the field and we routinely see patients come in with major dental issues and leave at the end of it all with a bigger and brighter smile and a better outlook on life. Receiving a routine check-up from the Comfort Care Family Dental team is one of the smartest choices you can make when it comes to your dental health. Call us today and set up your general dental cleaning appointment and keep on the path to good dental health or set up your appointment for one of our more involved procedures or cosmetic treatments. If you have been wondering where to a get dental cleaning done in Naperville or the surrounding area then give us a call today and stop living life in shame hiding your bad teeth! Get the smile you want and deserve today! It is now widely accepted and proven though many studies and scientific observations and research groups that many medical conditions are aggravated and made much worse by gum disease and the inflammation of the dental system. Some of these conditions are heart disease, asthma, blood pressure, rheumatoid arthritis, ear-nose-and-throat issues, diabetes, dementia, heart disease, sinus infections and even premature birth and pregnancy complications! While the link between dental disorders and disease and these serious medical conditions has not yet bene fully understood, bacterial transfer seems to be one of the major issues as the infections spread from the teeth and gums to other areas of the body. There are many blood vessels in the various structures of the mouth so any bacteria and infections in the dental area can easily get into the blood stream and travel to other areas and become systemic. Maintaining good dental hygiene through regularly scheduled visits to the dentist is an important part of maintaining overall health. For the pickiest patients, there is no better way to get that deep down clean feeling you crave than to set up an appointment with us today for general dental cleaning and more advanced dental care and cosmetic treatments. Our state of the art dental clinic is fully equipped to provide all of the basic services as well as more advanced procedures so you can rest assured that any dental need you or your loved ones may have now or down the road. Come and see why so many in the area trust us time and time again for all of their dental care needs.